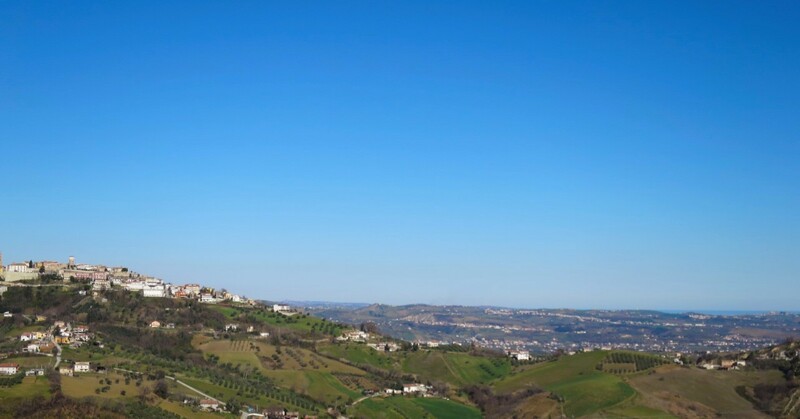 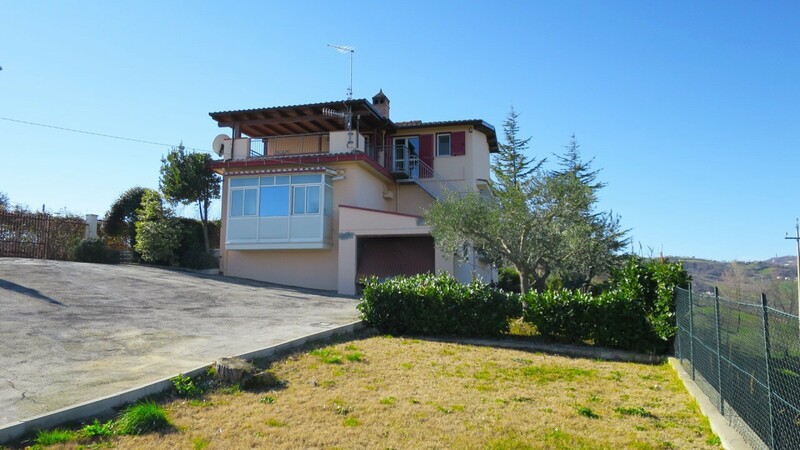 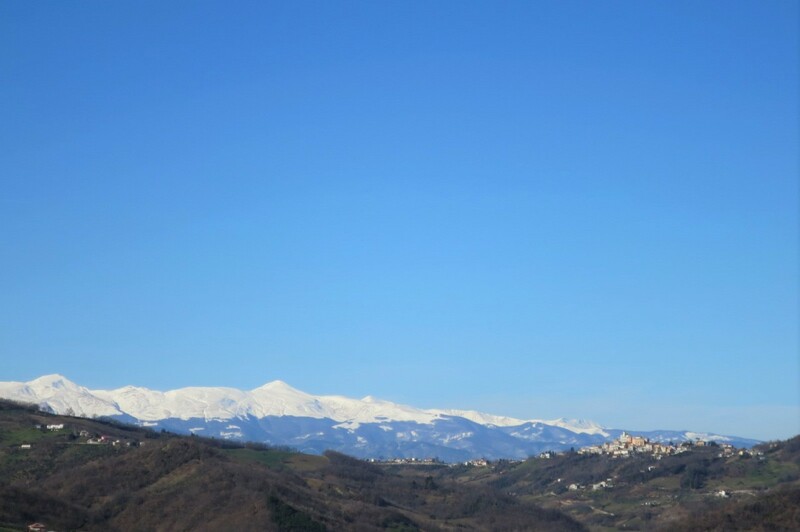 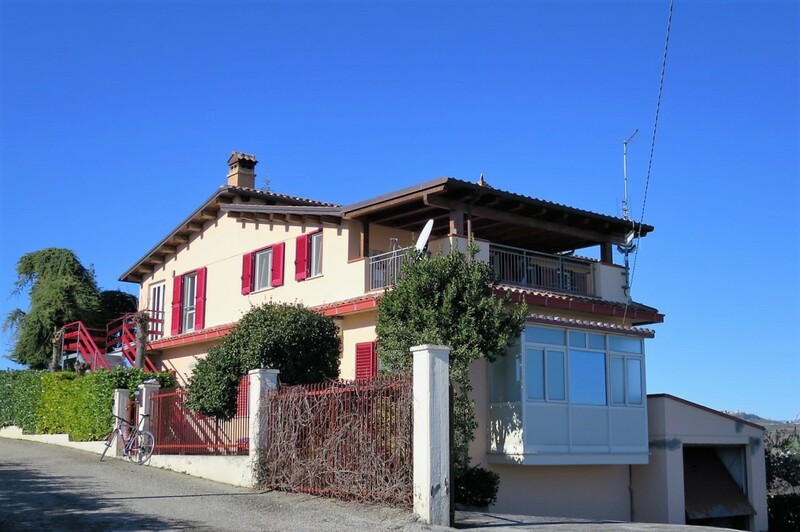 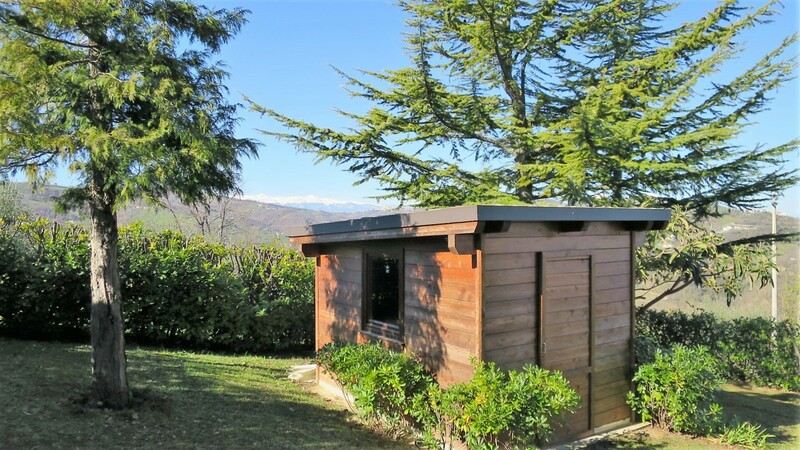 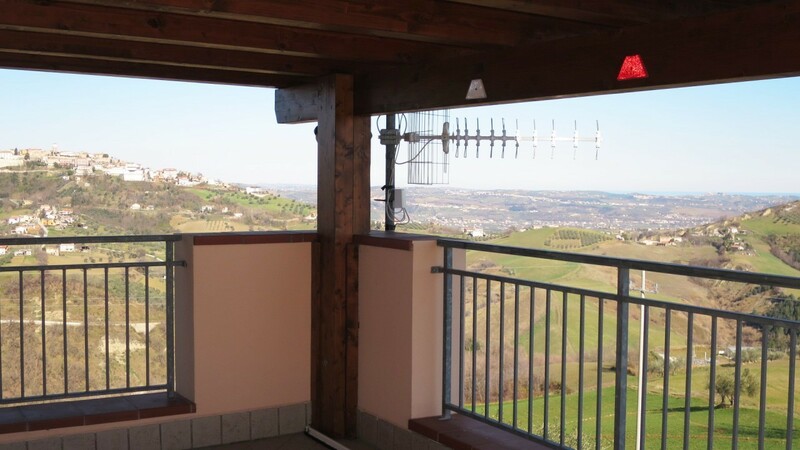 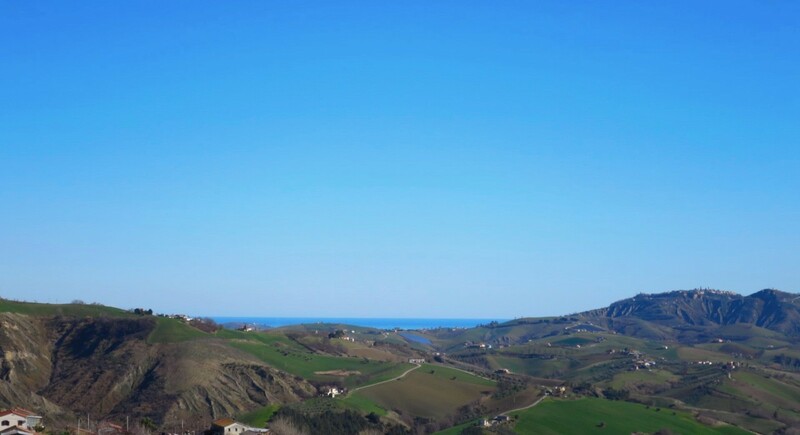 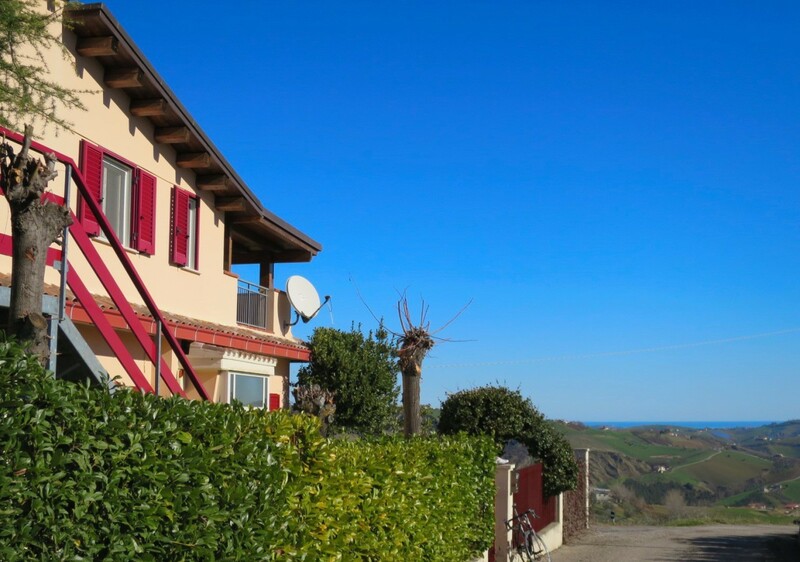 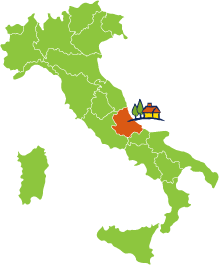 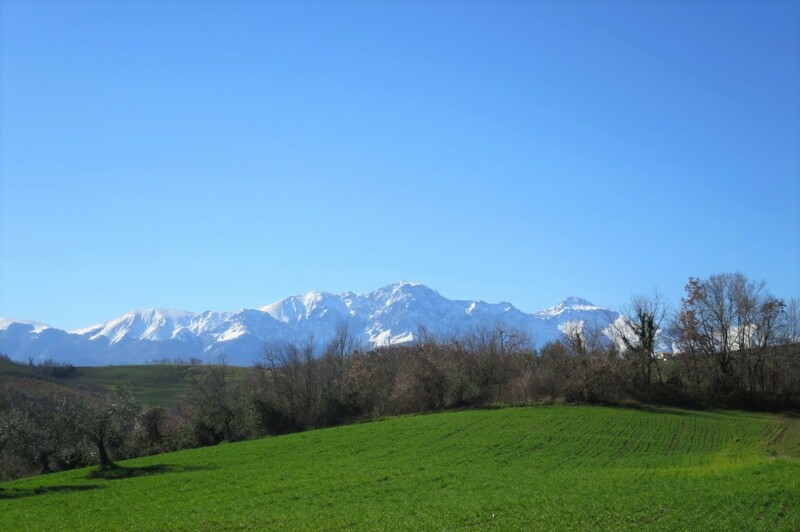 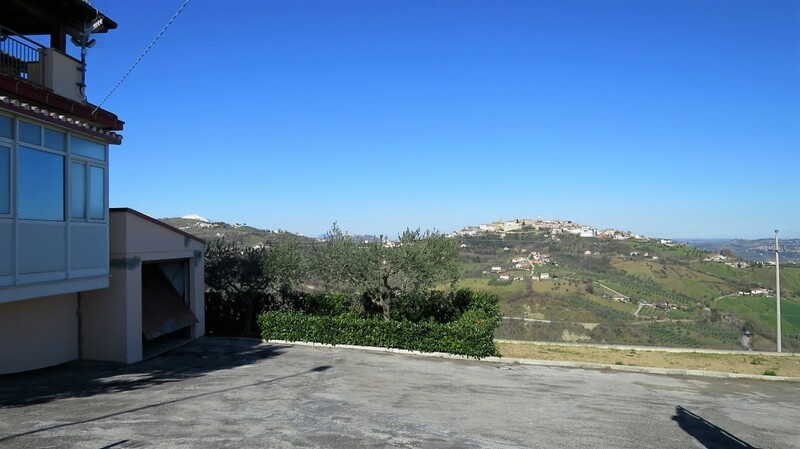 Amongst the green rolling hills of Abruzzo, with wonderful views stretching from the mountains to the sea, you will find this beautiful detached house, in excellent condition. 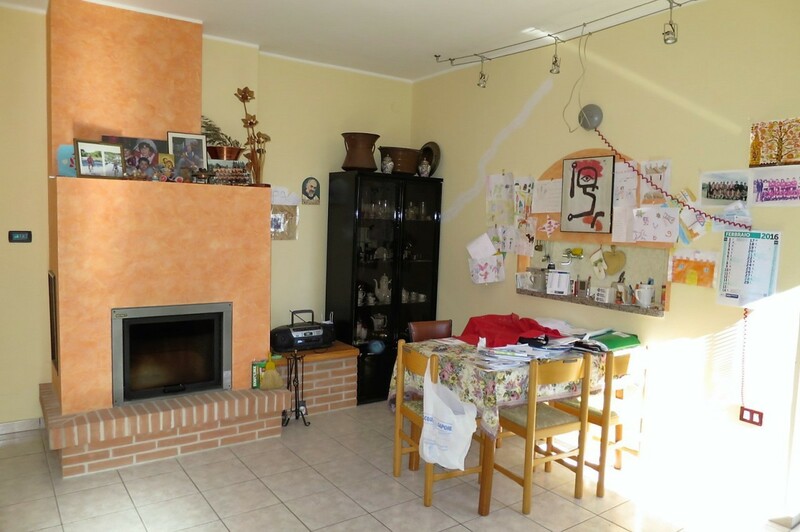 It is divided as follows: GROUND FLOOR - a separate apartment, composed of kitchen / living room with fireplace, hallway, three bedrooms , two bathrooms, storage closet, basement, garage, porch and garden with wooden shed. 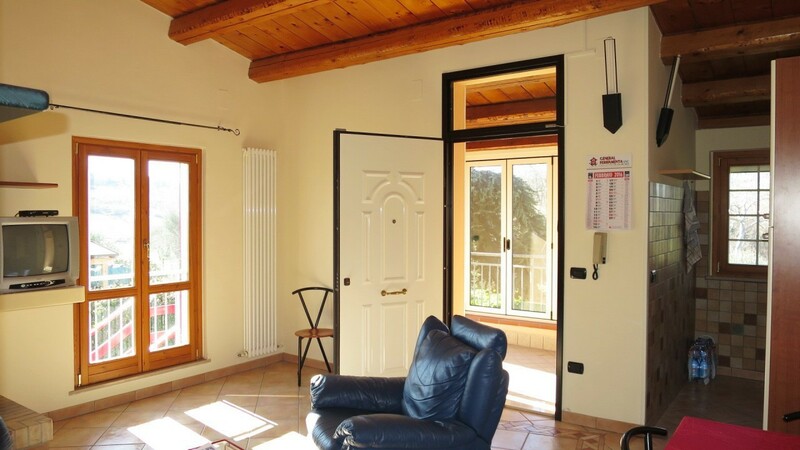 An external staircase leads to the FIRST FLOOR where there is another apartment - composed of kitchen / living room with fireplace, double bedroom with bathroom, single bedroom, bathroom, large covered terrace. 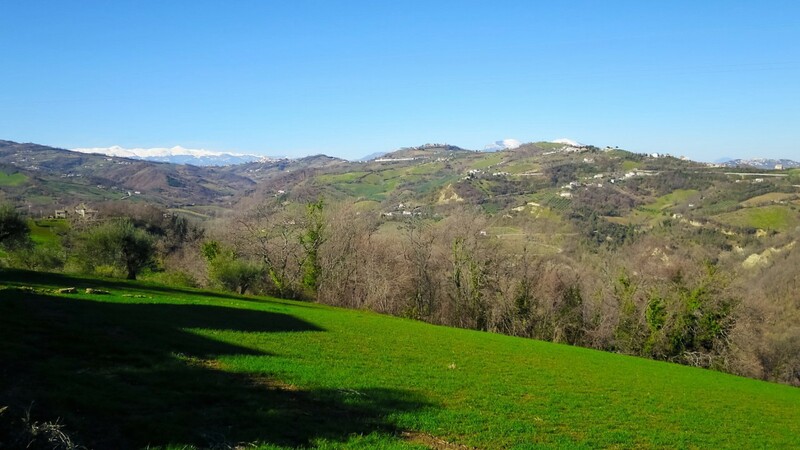 The surrounding land measures approximately 10,000sqm, containing fruit trees, olives, woodland and field. 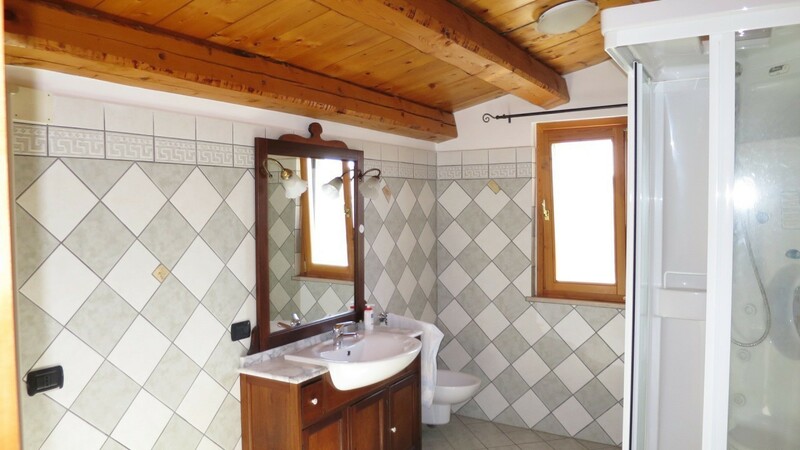 Ideal for both holidays and to live in. 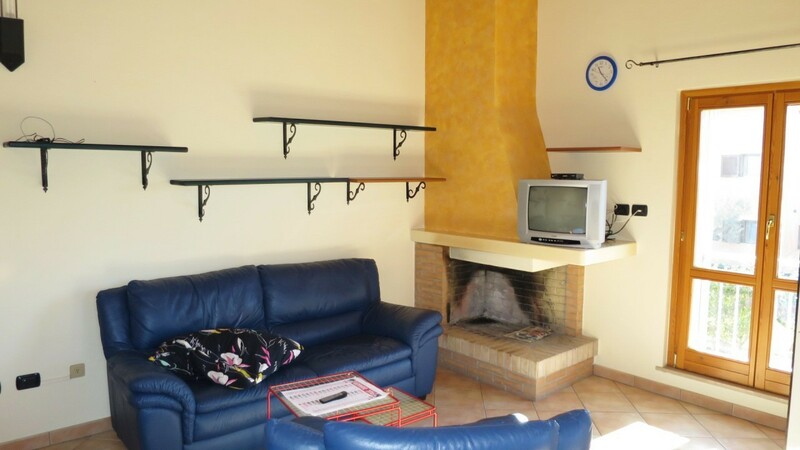 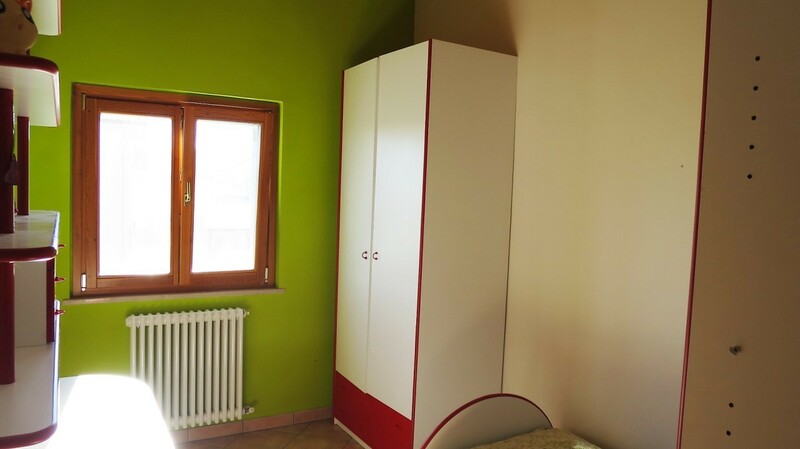 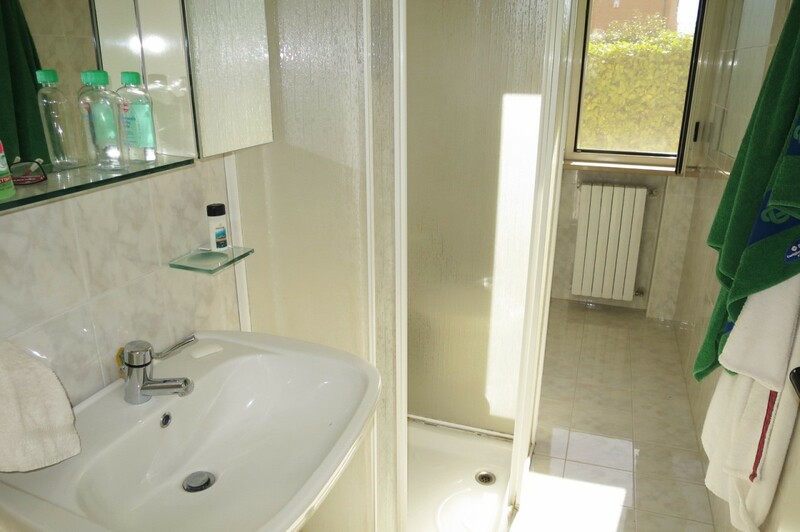 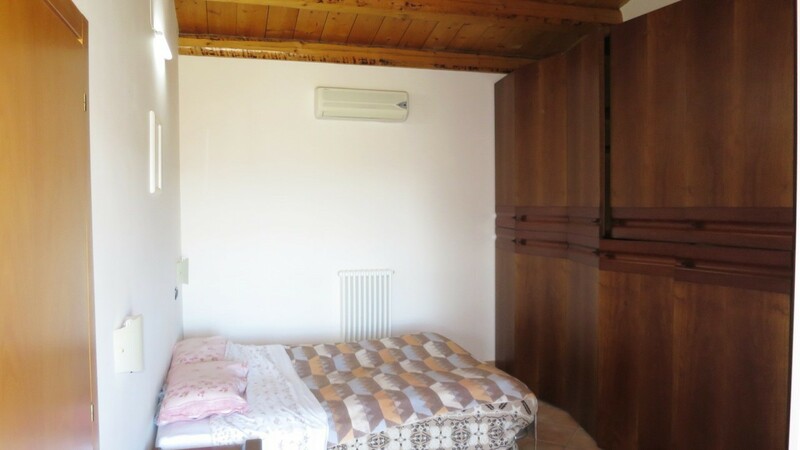 Being split into 2 apartments it is perfect for living in and for renting out the other apartment.